July is a month of birthdays for the Crusaders’ family. Crusader Stacy and Jenn will be celebrating their 31st birthday next week. Our littlest crusader, Leah, just turned two. Our dad (who might as well be an honorary crusader since he goes on so many adventures with us) has a birthday at the end of the month. And…Our blog just celebrated it’s 2nd anniversary on July 7th! We can’t celebrate without including our followers, and the best way to do that is a giveaway! 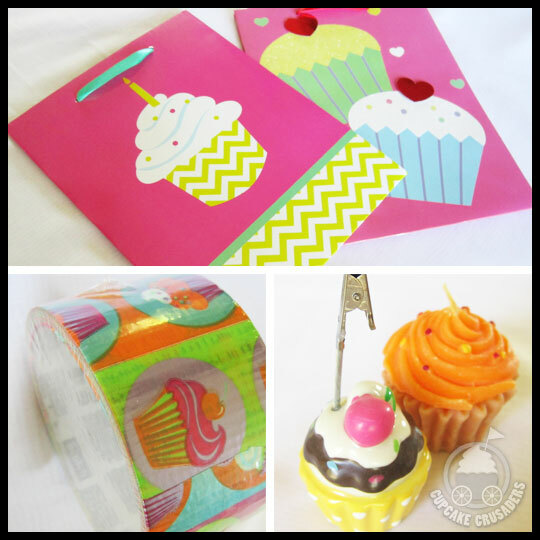 We think you’ll love some of the great summertime items in our Grand Prize package! 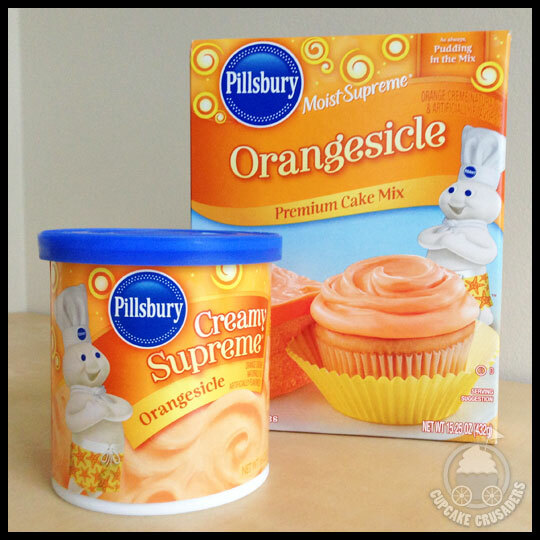 For starters, we are including Pillsbury’s Orange Creamsicle cake mix and frosting, which Crusader Stacy used as a base for her Orange Creamsicle cupcakes. 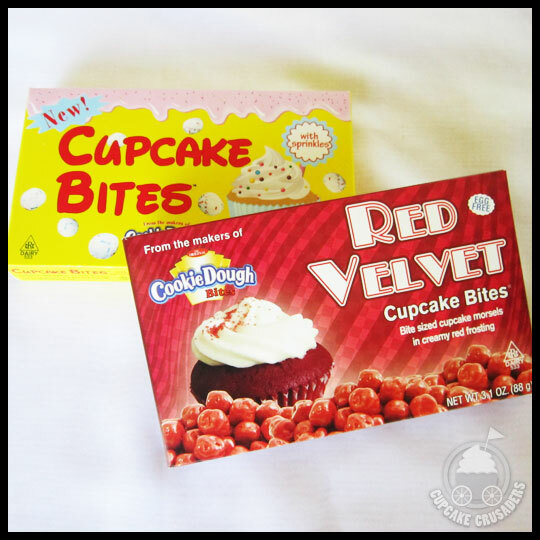 We also picked up extra boxes of these cupcake candies just for our winner. Check out our review here! This year we also doing a 2 FOR TWO! What that means is, since this is our second year we are going to send a goody bag to a 2nd place winner! So now…how to win?! * Please comment below after you sign up to follow our blog, like us on Facebook, and follow us on Twitter, Foursquare, and/or Pinterest. Your comment below will act as an entry into the content. If you already have connected with us via social media, please make note below for your entry. The contest will close on midnight next Monday, July 22, 2013. A winner will be drawn at random and announced on Wednesday, July 24, 2013. NOTE: We are only able to ship within the USA. Sorry to those who don’t qualify! 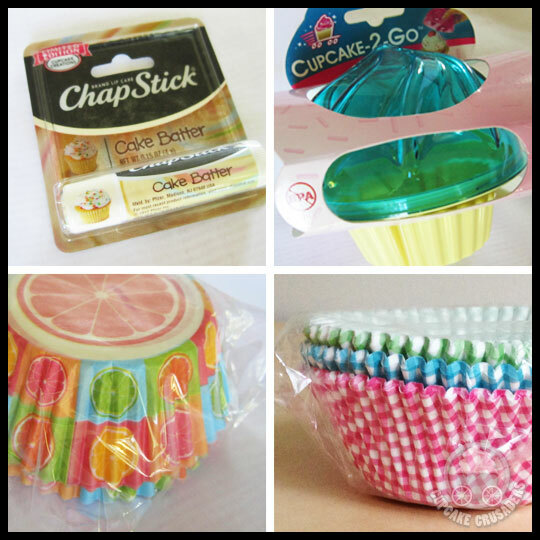 This entry was posted in Cupcakes, Giveaway and tagged 2 years, anniversary, cake mix, candy, celebrate, chapstix, containers, contest, cupcake-to-go, gift bags, gifts, giveaway, limited edition, liners, Pillsbury, seasonal by Crusader Jenn. Bookmark the permalink. Oh fun congrats on 2 years! 🙂 My favorite cupcake flavor is strawberry with cream cheese frosting. Happy Birthday! July is a big birthday month for my family, too. My grandmother’s was July 4, one sister’s is the 15th, another sister’s is the 25th, and my birthday is the 17th. My favorite cupcake flavor is chocolate. It’s pretty hard to turn down a chocolate cupcake. That IS a lot of July birthdays! Happy birthday to you and your sisters! I follow you via email, facebook, twitter and pinterest! Congrats on 2 years! 6. I get the blog emails! I like chocolate cupcakes with sprinkles! I love mixed berry cupcakes! I follow the blog! I am a FB fan and I follow on twitter and pinterest! Happy birthday!! Happy Anniversary! I am a FB fan (with both my personal page: Samantha Hartin and business: Bootlegger Cupcakes), I follow you on Twitter @BootlegrCupcake and also on Pinterest http://pinterest.com/samantha423. I liked you on foursquare and I also subscribed to your newsletter! Thank you for the chance to win! It is hard to choose, but I absolutely love strawberry with strawberry butter cream. I follow you on FB and pinterest. I follow you on Facebook, on Foursquare, I follow your blog and on Pinterest. Plus you have some cousins and uncles/aunts with July birthdays who support and love you guys! Fun giveaway! Happy anniversary! My favorite cupcake flavor is salted caramel. My favorite cupcake is mocha with vanilla frosting. Following on Twitter, FB fan and get the blog emails!! Happy 2nd Anniversary! My favorite cupcake flavor is Icedgems’ English Rose. I follow you on Facebook and Twitter, and I subscribe to your newsletter. That’s great! We’re so glad the reviews have helped you! hi! I liked you on facebook and receive your blog – keep up the good work! !